helm of the sport's international governing body. The fact that none of the 70 international sports governing bodies recognized by the International Olympic Committee were led by an American was not lost on David Haggerty, BBA '79, as he threw his hat in the ring in the spring of 2015 to become president of the International Tennis Federation (ITF). Neither was the fact that it had been more than 40 years since an American had been elected to tennis' top post. "At times, there's an anti-American sentiment among these global organizations, so frankly, being American was a challenge in running," Mr. Haggerty says. "I thought I would do well, but I didn't expect to win." But the odds against him, staring him in the face, could not dampen his enthusiasm at the potential to further serve the sport he loves. "I wanted to continue giving back to the sport that has done so much for me," Mr. Haggerty says. "My life has been, and still is, fully committed to tennis." He began playing tennis at 5 years old. He would develop into a talented junior player and compete internationally before receiving a scholarship to play for the Colonials in the late '70s. He won a combined 184 singles and doubles matches during his time at GW, playing as the No. 1 singles as well as in the top doubles pairing for his final three seasons. The three-time team MVP was inducted into the GW Athletics Hall of Fame in 2008 for his achievements, which included four consecutive all-metro championships. After graduating with a business degree in 1979, Mr. Haggerty competed professionally in Europe and the U.S. before transitioning to the business side of the sport. He spent 32 years as a top executive with sports equipment manufacturers Prince, Dunlop Slazenger and Head USA before retiring in 2010 to devote himself to tennis on a volunteer basis as a member of the U.S. Tennis Association (USTA) Board of Directors. In total, Mr. Haggerty has 16 years of volunteer experience with the USTA, becoming president of the USTA and of the U.S. Open in 2013. On Sept. 25, he took his commitment to tennis to the highest level by defying the odds and getting elected as president of the ITF, coming from behind after the first round of voting. "I was behind by 31 votes after the first round," he recalls. "When the two European candidates dropped out after that first ballot, it left just two of us in the race, and I knew it might be an uphill battle." When the second round of ballots was counted, Mr. Haggerty had won, 200-192. He will serve a four-year term. 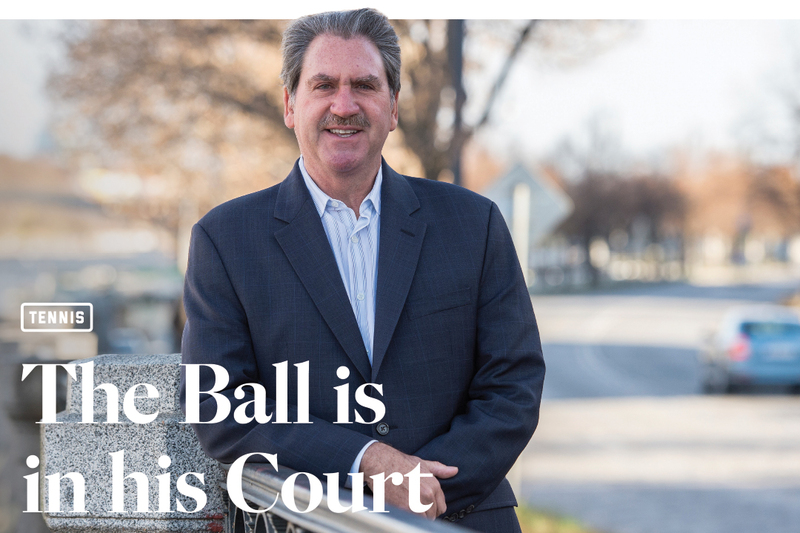 In his new job, Mr. Haggerty, who previously served on the body's board of directors, helms a federation dedicated to leading and growing the sport of tennis. That means working with nations and stakeholders to make decisions that ensure the future of tennis. "It's the responsibility of the ITF to lead the sport by administering the game and upholding its values to ensure the integrity of tennis globally, but we're not Big Brother," Mr. Haggerty says. "We have an important role to play to govern, to lead the sport to do what's right, but at the same time, we need to respect the autonomy of our partners." He points to the sport's four Grand Slams—the Australian Open, French Open, Wimbledon, and U.S. Open—which are all different and have their own traditions. The job, he says, is respecting that uniqueness while continuing to advance the game. "Our mission is really to grow, promote and develop tennis around the world," he says. That includes raising and distributing funds to the ITF's 211 member nations for efforts ranging from grass-roots programs that build courts or provide equipment, to grants for top junior players to travel internationally to hone their skills and improve their rankings. It also means getting more people watching the sport around the world—at home, online and at live events. While the Grand Slams have attracted audiences in the millions over the years, Mr. Haggerty says that elevating the Davis Cup and Fed Cup—the annual national team competitions for men and women, respectively— and boosting their audience is an important next step for the sport. "We have 130 nations that compete in the Davis Cup, and a little more than 100 that compete in the Fed Cup," he says. "These national team competitions are played around the world, and that's a tremendous opportunity to bring professional tennis to areas that might not see it any other way." While tennis is typically an individual sport, Mr. Haggerty says the team aspect that the Davis and Fed cups are built around is appealing to athletes and mirrors the national pride seen during the Olympics. "This is an Olympic year, and all the top athletes want to be there in Rio competing for their countries," he says. "It's the same for the Davis and Fed Cup. The top tennis players—whether it's [Roger] Federer, [Novak] Djokovic or the Williams sisters—they all want to play. There's a lot of patriotism that comes through in those competitions." The national competitions also provide the opportunity for new rivalries to emerge, something that has long been the lifeblood of tennis. 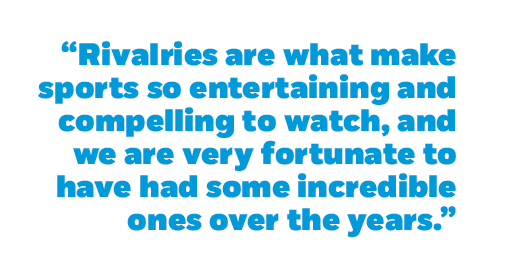 "Rivalries are what make sports so entertaining and compelling to watch, and we are very fortunate to have had some incredible ones over the years," says Mr. Haggerty. The rivalry between Venus and Serena Williams has been a boon for the women's game for years, and Mr. Haggerty points to the clash of Chris Evert and Martina Navratilova as another compelling example. "That rivalry was certainly great for tennis," he says. He recalls the Björn Borg-John McEnroe rivalry as a favorite growing up, and loves the recent rivalries among Novak Djokovic, Roger Federer, Rafael Nadal and Andy Murray at the top of the men's game. But as the sport's top stars age, does tennis face a future without compelling rivalries? "I go back to a couple of years ago when everyone was worried that there would be no great matchups left when [Pete] Sampras and [Andre] Agassi retired and that we were never going to have that era of players again," Mr. Haggerty says. "Well, Federer and Nadal and then Djokovic emerged, and we've had some incredible tennis between them. So here we are now with the same conversation being had. Tennis is an ecosystem, and the best players always find their way through and will create great rivalries." For more from this interview, including David Haggerty's memories of GW, visit go.gwu.edu/Haggerty. As law students, Courtney Francik and Bart Sheard petitioned President Obama to commute a man's sentence—and he did. A second-career English teacher helps kids find their voice and confidence in school through "wrestling with words."